One of the most important measures of the health of the stream is the level of dissolved oxygen (DO) in the water. 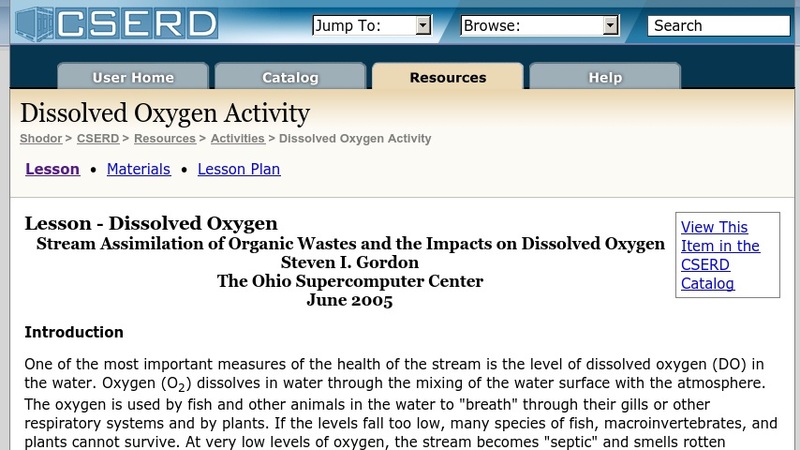 Oxygen (O2) dissolves in water through the mixing of the water surface with the atmosphere. The oxygen is used by fish and other animals in the water to "breath" through their gills or other respiratory systems and by plants. If the levels fall too low, many species of fish, macroinvertebrates, and plants cannot survive. At very low levels of oxygen, the stream becomes "septic" and smells rotten because low oxygen sulfur bacteria begin to dominate.